This weekend, my friends and I decided to continue to celebrate yet another gorgeous summer weekend in SoCal by having a D.I.Y. 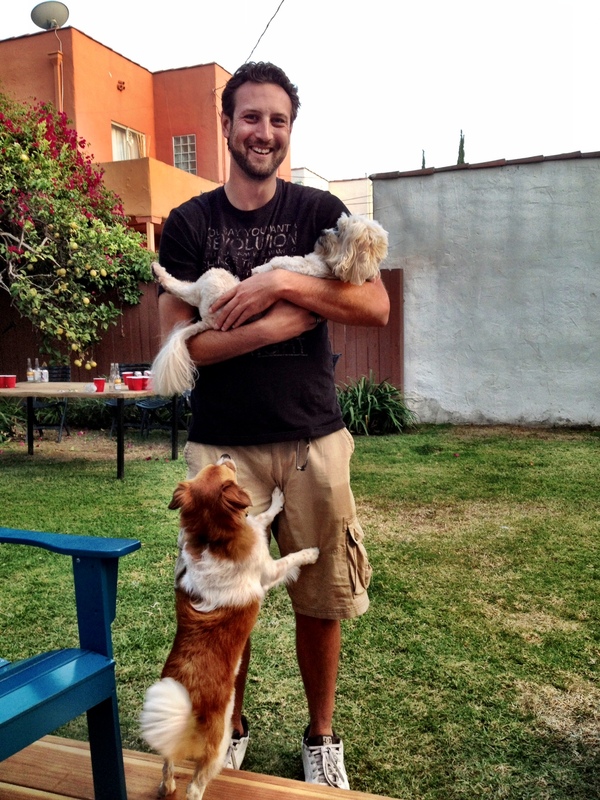 BBQ with our friends here in Los Angeles. 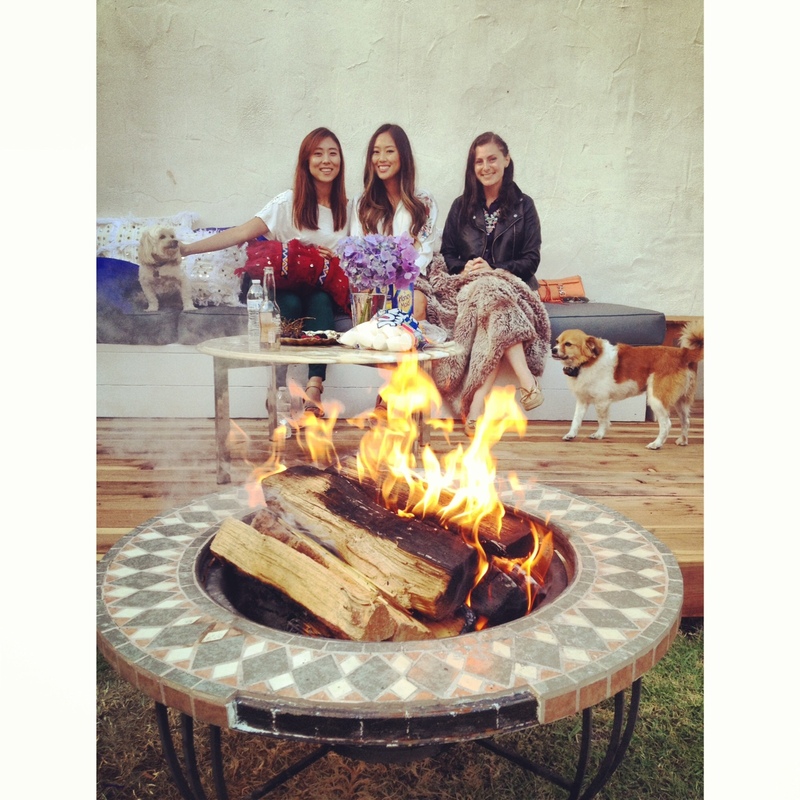 The BBQ was at the beautiful home of Aimee Song (check out her amazing fashion blog, Song Of Style–if you do not yet read it, you will be hooked!) and her boyfriend, Wes Mason. It was the perfect way to sit back, relax and enjoy our Sunday evening. 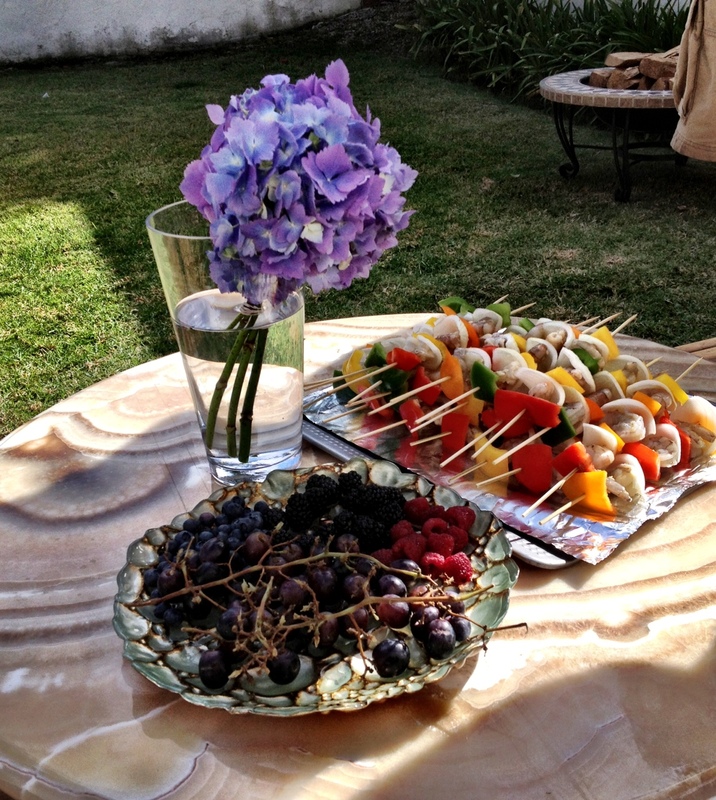 Appetizers were cut up fruit and the entree included BBQ mixed veggie skewers. 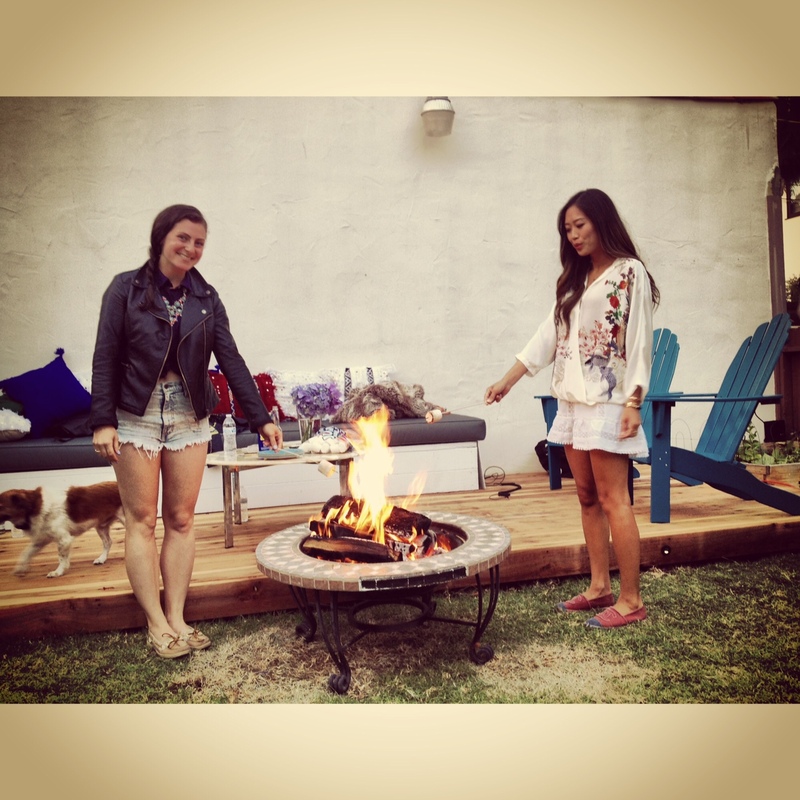 Later on in the evening, we roasted marshmallows and made smores over a cute tiled fire pit. Wes and Aimee built their own D.I.Y. deck last week with a built-in bench and custom cushions that we all lounged on. 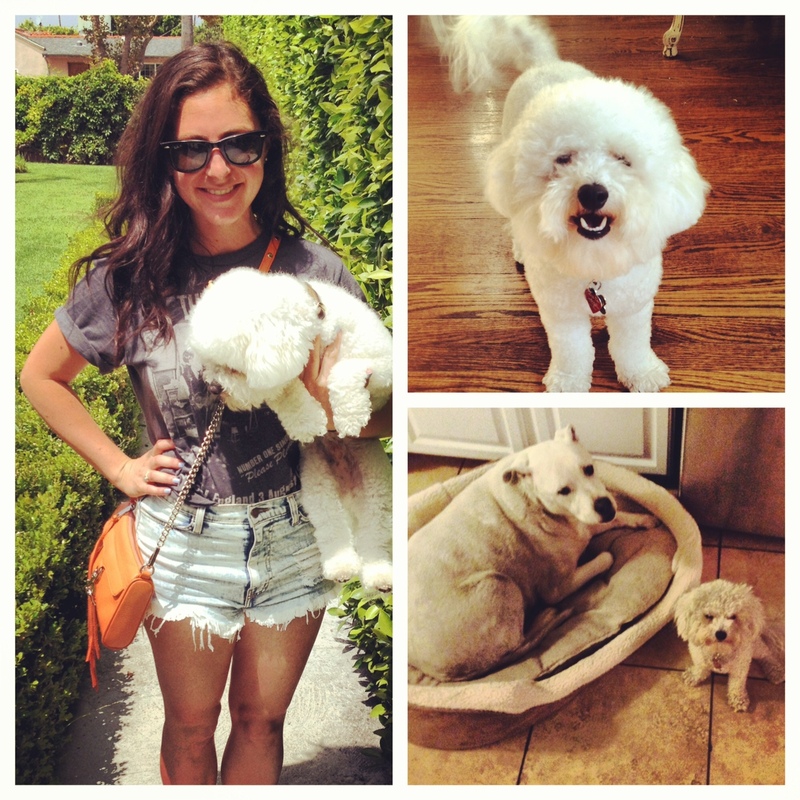 Aimee created her own amazing Moroccan pillows for extra comfort and pops of summer color. When it started getting dark outside, we hooked up a projector and created our own makeshift outdoor movie theater. 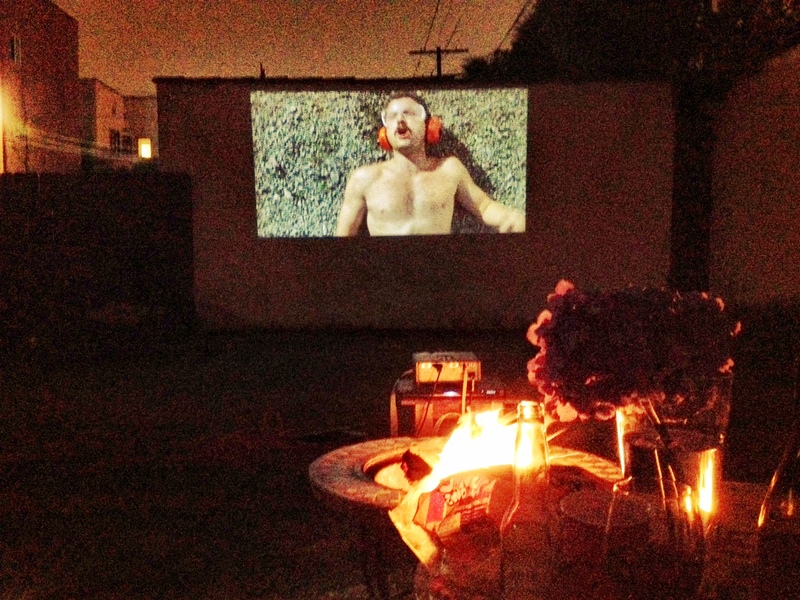 We projected the film, ‘Super Troopers’ onto a white wall. It was the perfect summer evening and a wonderful way to end the weekend and gear up for the work week. I’ll be dreaming of smores and fire-pits until next weekend.